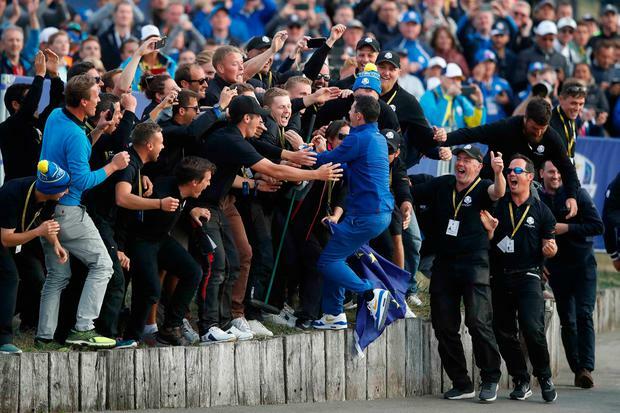 One half of Europe's 'Moliwood' Ryder Cup sensations fittingly took the glory as they dominated the Sunday pairings to see off a star-studded US team. Francesco Molinari - whose impressive performances with Tommy Fleetwood saw them dubbed 'Moliwood' - beat Phil Mickelson to post the winning point needed to claim victory. Irish golfer Rory McIlroy jokingly hinted afterwards that he doesn't know "what is going to happen tonight" between the star pairing after their famous victory in Paris. "I don't know, I mean Francesco and Tommy have got awfully close this week but I don't know what's going to happen between them tonight," McIlroy told Sky Sports after being asked what celebrations were in store. He went on to hail the tight-knit nature of the European team, captained by Thomas Bjorn, and said the time spent together as a group is memorable regardless of the outcome. Europe finished 17-and-a-half to 10-and-a-half victors over a US team which boasted some of golf's most famous names, including Tiger Woods and Jordan Spieth. Among those to congratulate the winning European team was President Michael D Higgins. 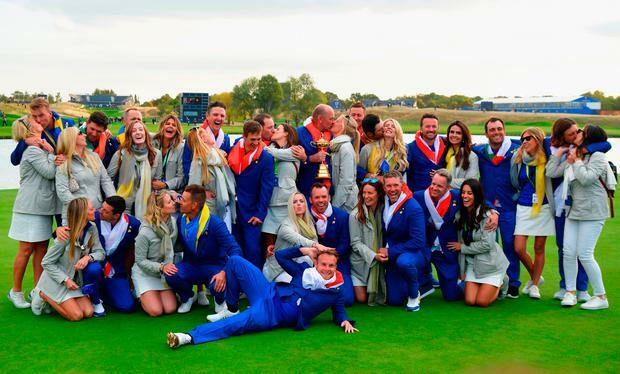 "The Ryder Cup is golf's pre-eminent event - made even more special by its colourful fans - and this is a true victory of the collective for Team Europe," he said. Another to add their delight at the European win was Irish golfer Paul McGinley, who won three consecutive Ryder Cups between 2002 and 2006. Writing on Twitter, he said: "Congrats Thomas and Team Europe - perfect execution of a plan."